Q: What do you get when a Japanese samurai falls in love with a gun manufacturer from the Soviet Union of Russia? 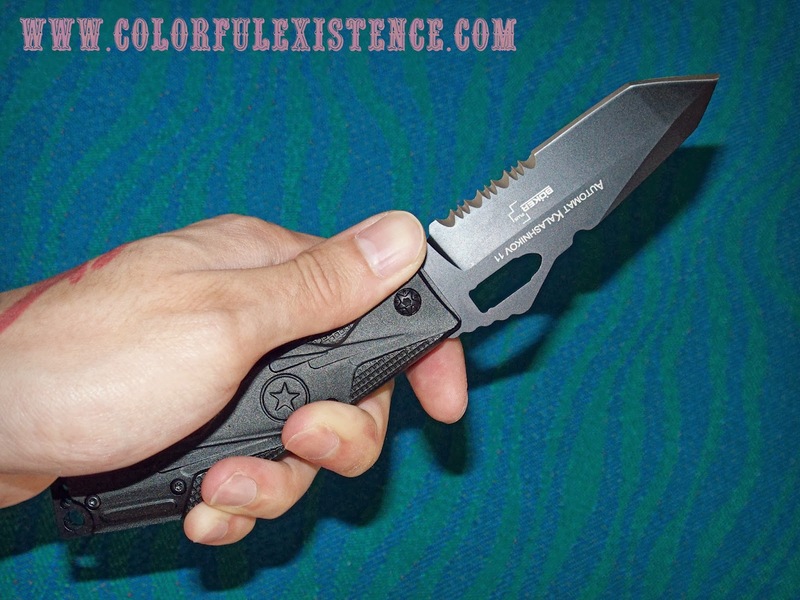 Automat Kalashnikov 11 – The diamond tipped tanto blade is designed purely to stab! Meet the Automat Kalashnikov 11 by Boker, a knife with the body (and looks) of the infamous AK-47 and a “do-not-mess-with-my-diamond tipped-blade” of a Japanese samurai’s tanto. These knives come very, VERY sharp! A tanto (短刀), is a short blade and is one of the traditionally made Japanese swords, that were worn by the samurai of feudal Japan. The tanto is commonly referred to as a knife or dagger. 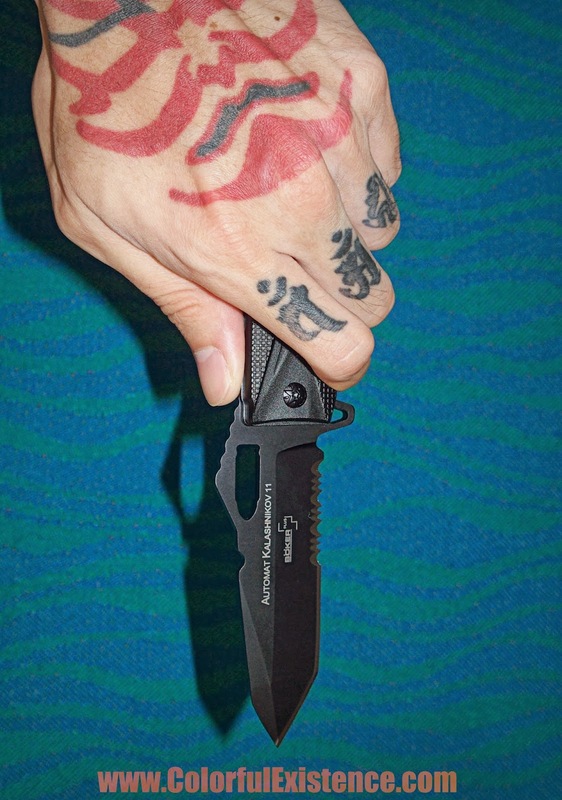 The tanto was designed primarily as a stabbing weapon, but the edge can be used for slashing as well. This impressive tactical knife is the newest addition to Boker’s Kalashnikov family of knives. 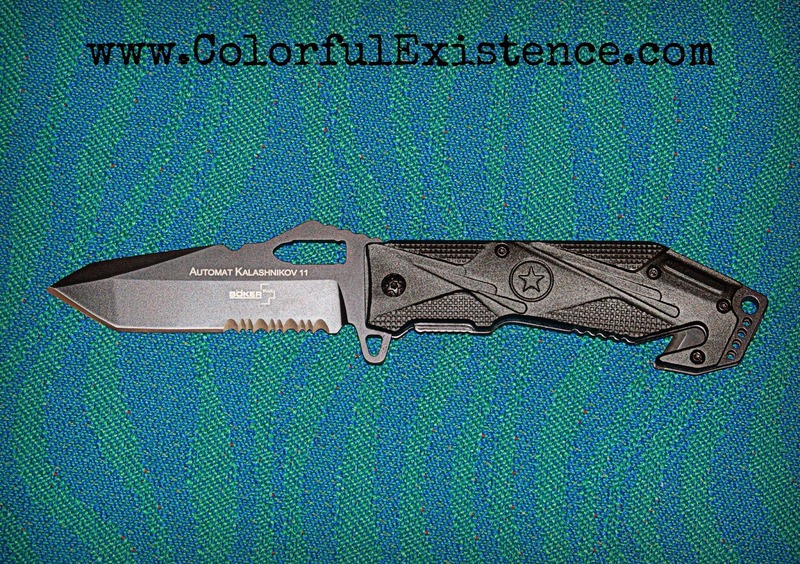 The Automat Kalashnikov 11 is a massively built “pocket knife” with a powerful tanto-styled blade. This “pocket knife” measures at 8 5/8″ inches overall from head to toe. The sturdy handle, with its textured aluminum shell, fits perfectly in the hand and provides a secure grip in any situation, while the blade is black coated, with high-performance Japanese 440C steel.